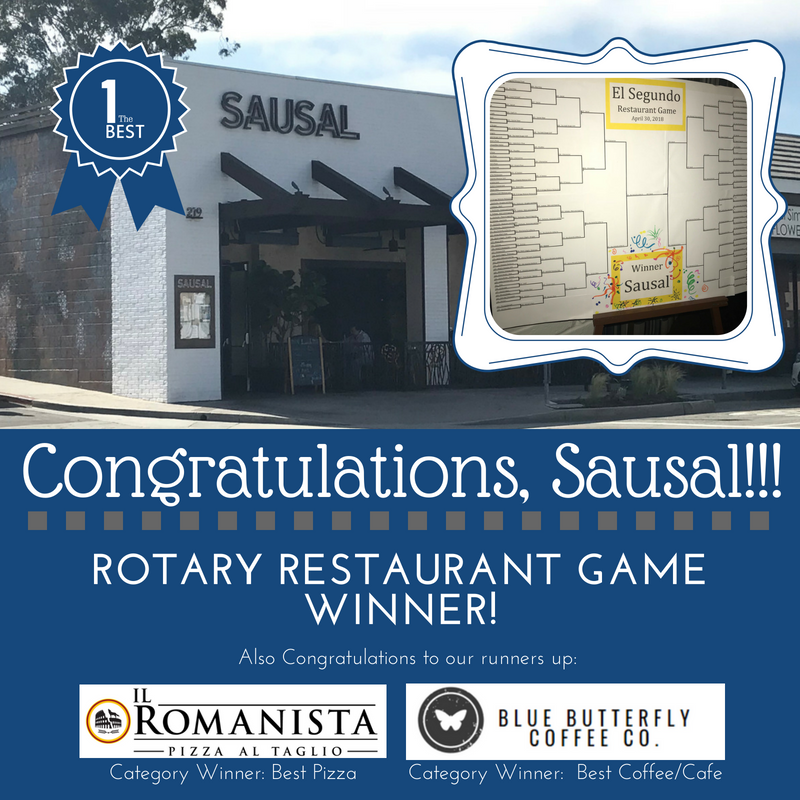 Just for a little extra fun, El Segundo Rotarians and friends decided to dine at EVERY restaurant in El Segundo in a March Madness-Style bracket showdown. The game started in September 2017 with 131 restaurants. Participants were assigned to 2 restaurants per month, with their favorite moving on to the next round. Over the next 8 months, Rotarians on secret dining missions enjoyed dining at El Segundo restaurants old and new! We are proud to announce Sausal as our overall winner!